Spring is finally in the air! 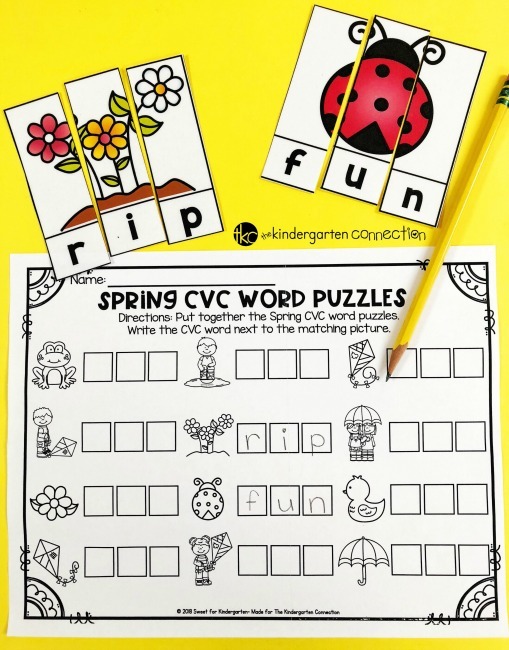 Today I am going to share a fun game to practice reading CVC words with spring themed pictures! One of the most popular activities in my classroom are puzzles because they love putting them together to reveal the picture. 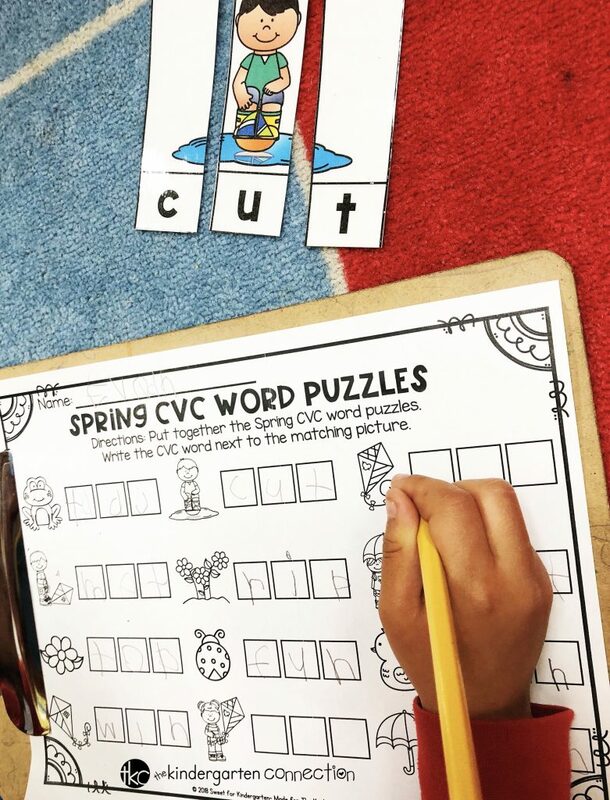 These spring CVC word puzzles have students practice making CVC words by putting mini puzzles together. 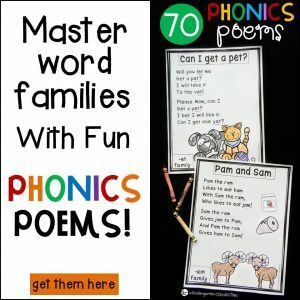 They work great as a center activity, small group practice, or even as a quick informal assessment. 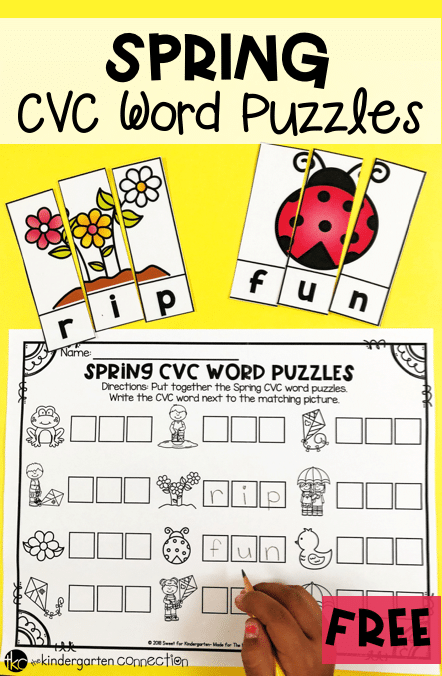 •Print out the CVC Word puzzles and matching recording sheet (at the end of the post). 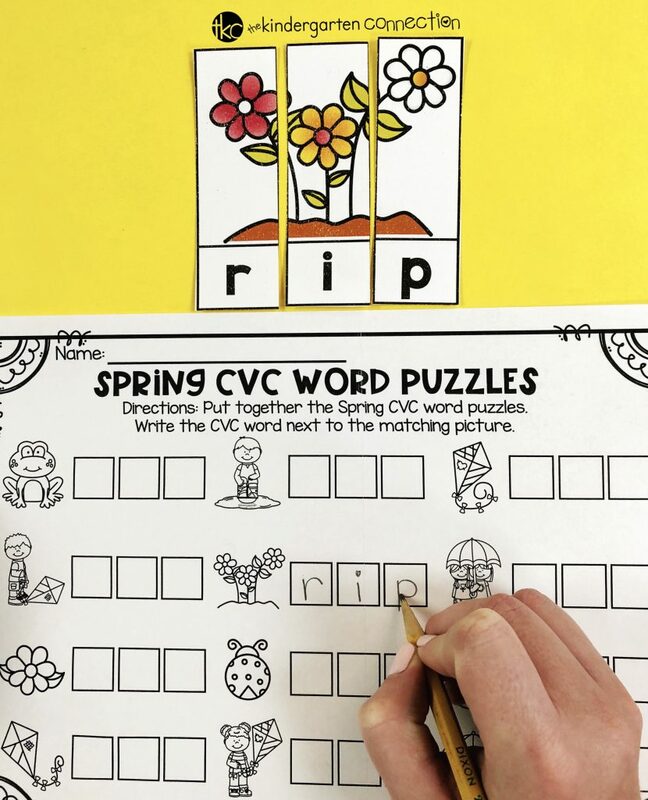 •Cut out the CVC Word puzzles along the vertical lines. Now it’s time for your students to enjoy! 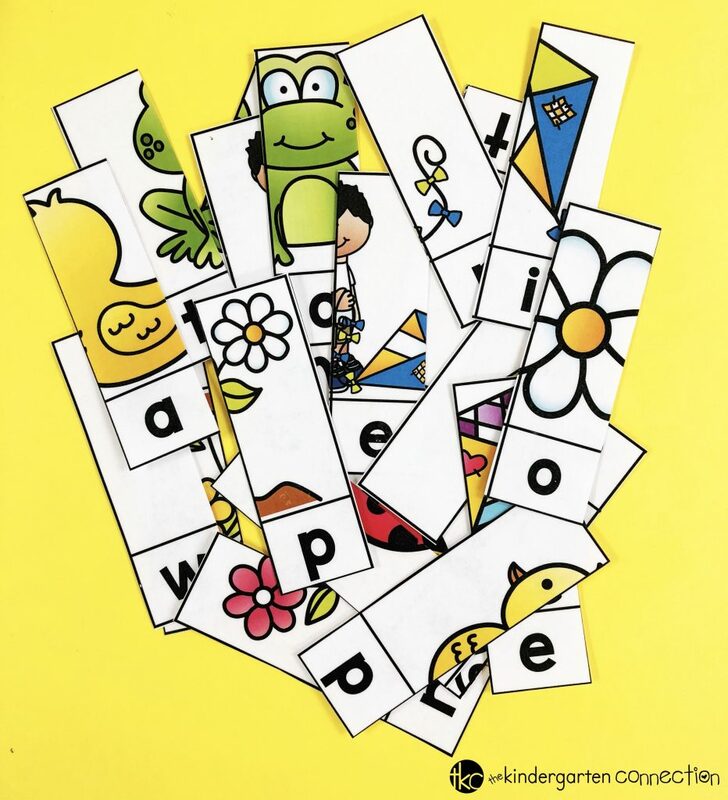 First, students will be given all the puzzle pieces and a recording sheet to write the words down. They will look for parts of a picture to make a whole picture. I like to show them that the recording sheet has all the complete pictures to help them if they need it. Students will put the puzzle together to show the complete picture. Then, they will read the CVC word at the bottom. Lastly, have the students write each word next to the picture on the recording sheet. 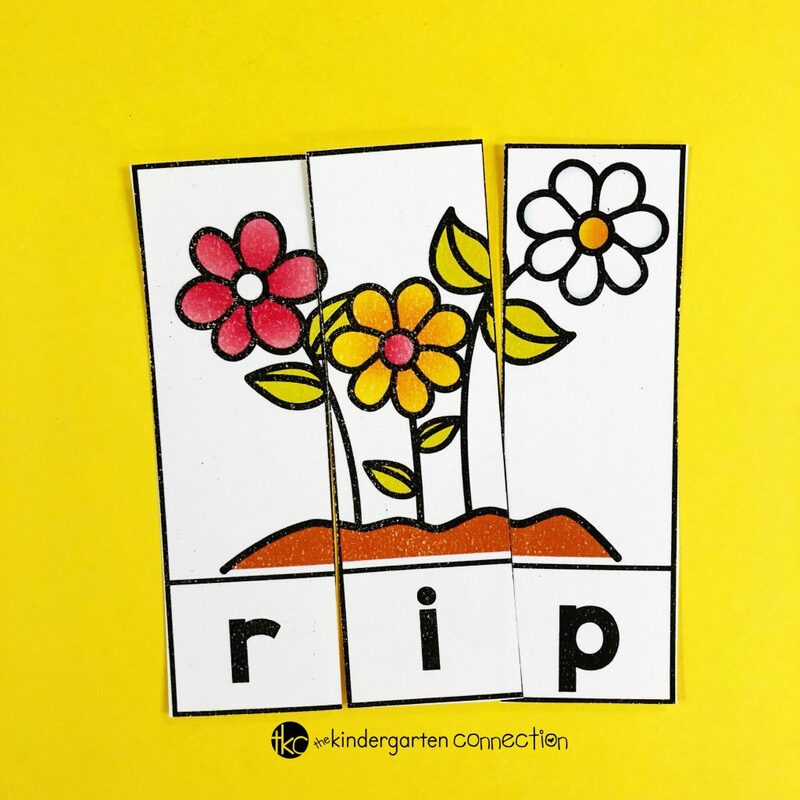 For example, the puzzle with the flowers have the word “rip” underneath. They would find the picture on the recording sheet and write the word “rip” in the boxes. Students will continue until all the puzzles are put together and the recording sheet is filled out. They can even color the pictures on the recording sheet if there’s time! The recording sheet is optional, but I like to use it if they are doing this activity independently. 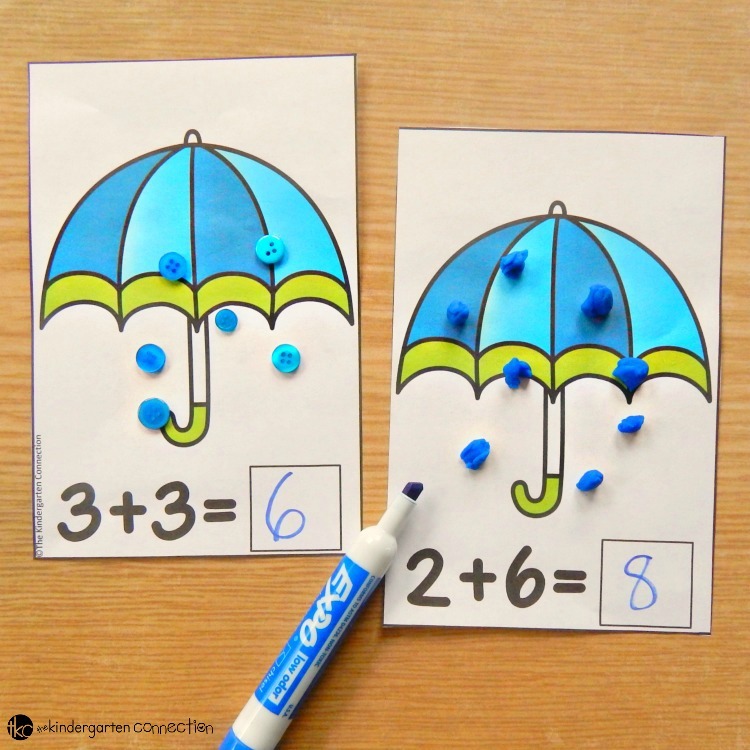 It holds them accountable to put the puzzles together and also has them practice writing the CVC words. My students did this as a center activity on the carpet, and used a clipboard for the recording sheet. Want to try this out in your classroom? 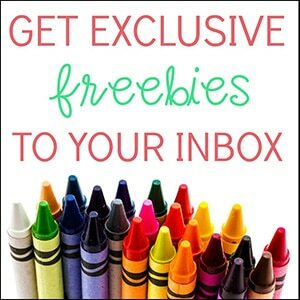 Get your FREE download by clicking the yellow button below. 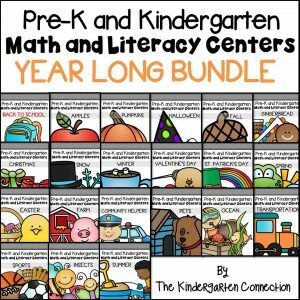 Then, for more spring fun, hop over and grab our Spring Math and Literacy Centers! Thank you for being so creative and generous sharing all these wonderful activities! my students and I thank you!!! It is our pleasure! We are so happy you find our resources helpful. Have a wonderful rest of the school year! 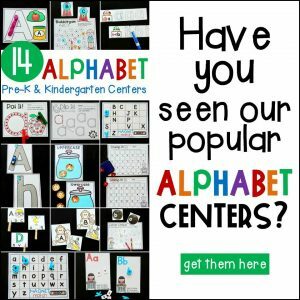 Thank you for another great resource! Thanks!! !